The Winter Garden Theater was a fixture of the downtown entertainment scene for over 75 years. But after going dark in the early 1990s, the theater became a blight on Main St. After careful study of renovation options, the decision was made to bring the theater down and replace it with a public plaza. The Phase One of the plaza project was completed in 2011. 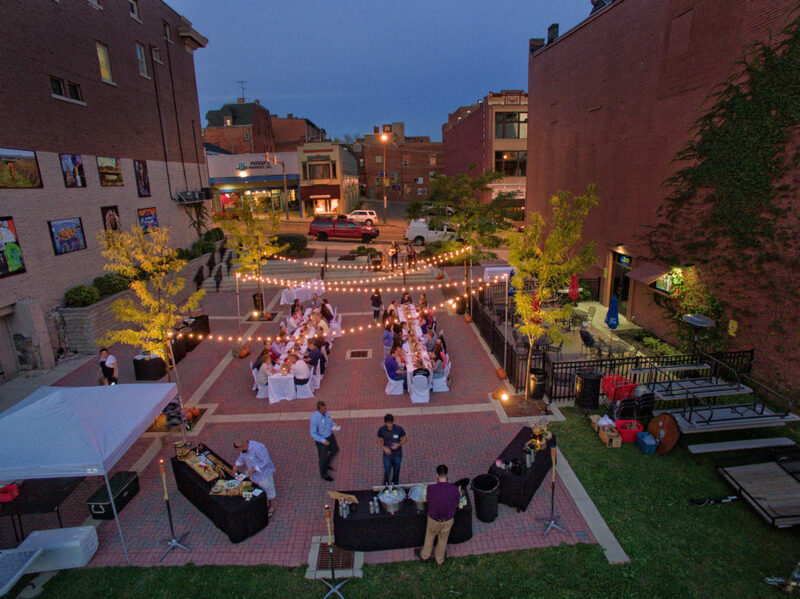 Today, the plaza features a patio for the Wine Cellar and space for events including Thursday concerts during the summer and movies during LucyFest. In addition, the space allows for passive enjoyment of the surrounding cityscape.